Members of SAPD's bomb squad. The San Antonio Police Department is assisting the Austin Police as it investigates the latest bomb explosion. SAPD is sending two bomb technicians and a bomb dog to respond to suspicious packages. The move is to provide extra man power so investigations can continue without interruption. McManus said the techs and dog will remain in Austin for as long as Austin Police and the FBI need their services. “I can tell you that our bomb tech training is second to none and I can also tell you that they have a lot of experience answering calls in San Antonio. Between training and experience, our bomb techs are right up there with the best,” McManus said. Sunday’s explosion in southwest Austin was the fourth since March 2. It was triggered by a tripwire. Two men were injured in the explosion. The three other bombs were disguised as packages left in front of homes. Two died and two were injured in those incidents. 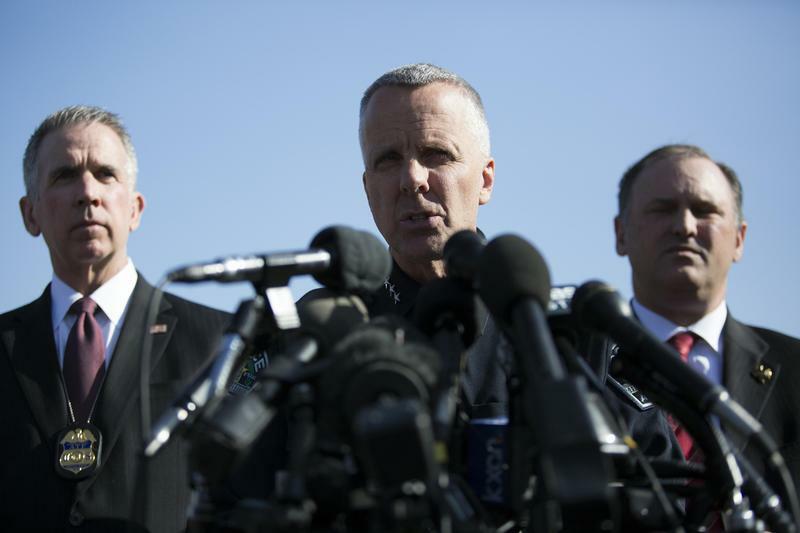 Following Sunday’s explosion, Austin police said it was likely dealing with a serial bomber. An SAPD spokesperson said the department was unable to immediately provide how many suspicious packages SAPD had responded to since two bombings March 12, due to the way incoming calls for service are categorized in its system. The first explosion was March 2, killing Anthony Stephan House. Austin Police say a bombing that injured two people in Southwest Austin last night is similar to three package bombings in Austin this month. Interim Austin Police Chief Brian Manley said authorities are still conducting a sweep of the Travis Country neighborhood, though police are allowing reentry into the neighborhood from certain areas.